Yamaha India announced that its Cygnus Ra – ZR would now be made available in four more colours. Available in two variants – Drum and Disc, they are respectively been priced at INR 53,451 and INR 55,898. The newly added colours to the portfolio, are – Armada Blue (Disc), Matt Green (Disc/Drum), Maverick Blue (Disc/Drum) and Rooster Red (Disc). Along with these newly included colours, Yamaha Ray – ZR Disc would be made available in the existing Darknight Edition as well. Sporting a 21 liter tank, the Yamaha Ray – ZR is been powered by an air cooled, 4 stroke, SOCH 2 valve, 113cc engine. 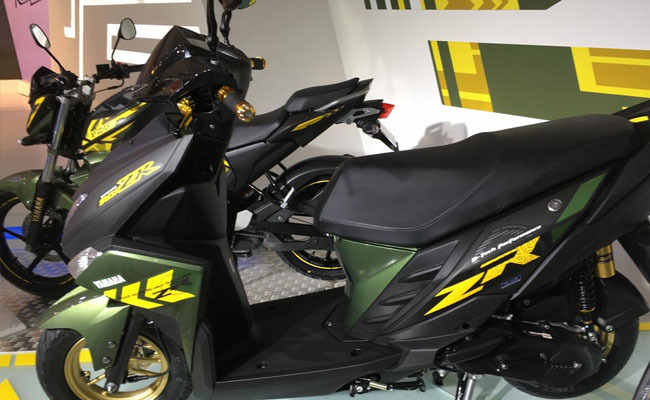 Offering a fuel efficiency clocking 66kmpl, Yamaha Ray – ZR weighs for 103kg.